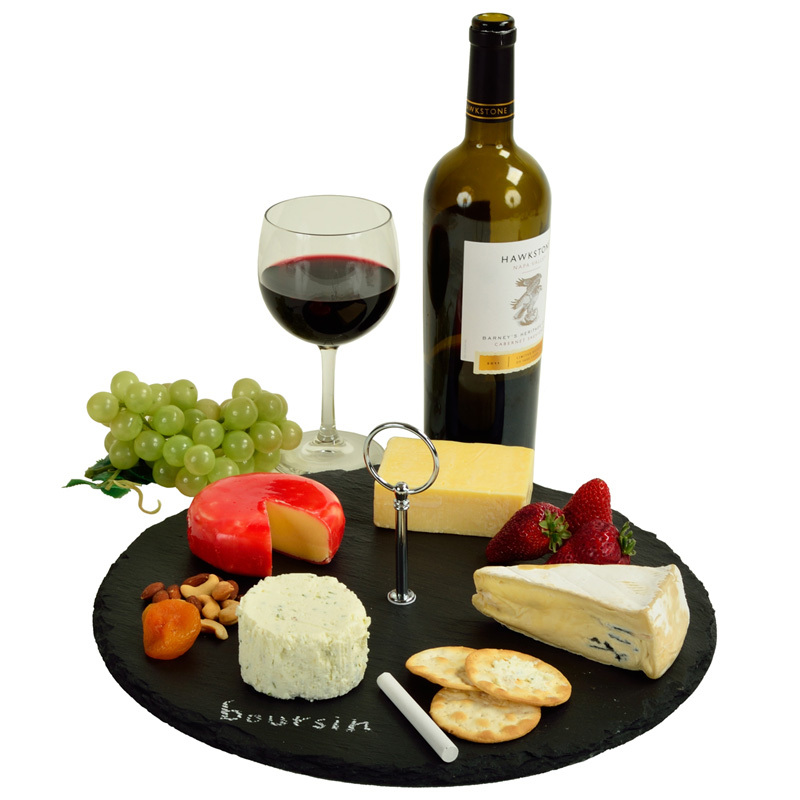 Handcrafted 1/4" thick natural slate board treated with food grade mineral oil. 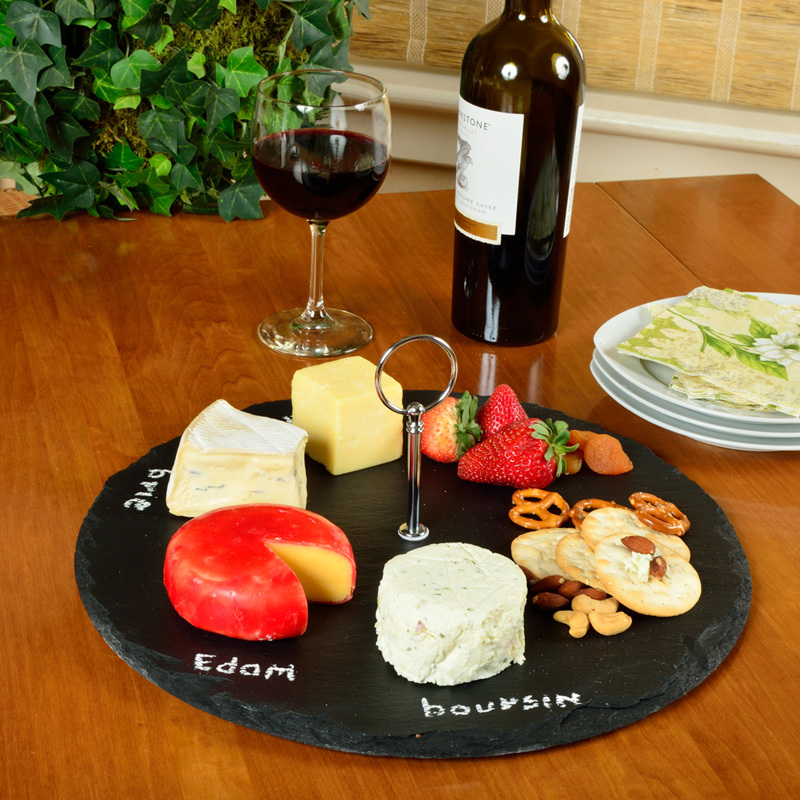 Great for cheese and appetizers. Attractive center handle, natural edges and non-slip protective feet. 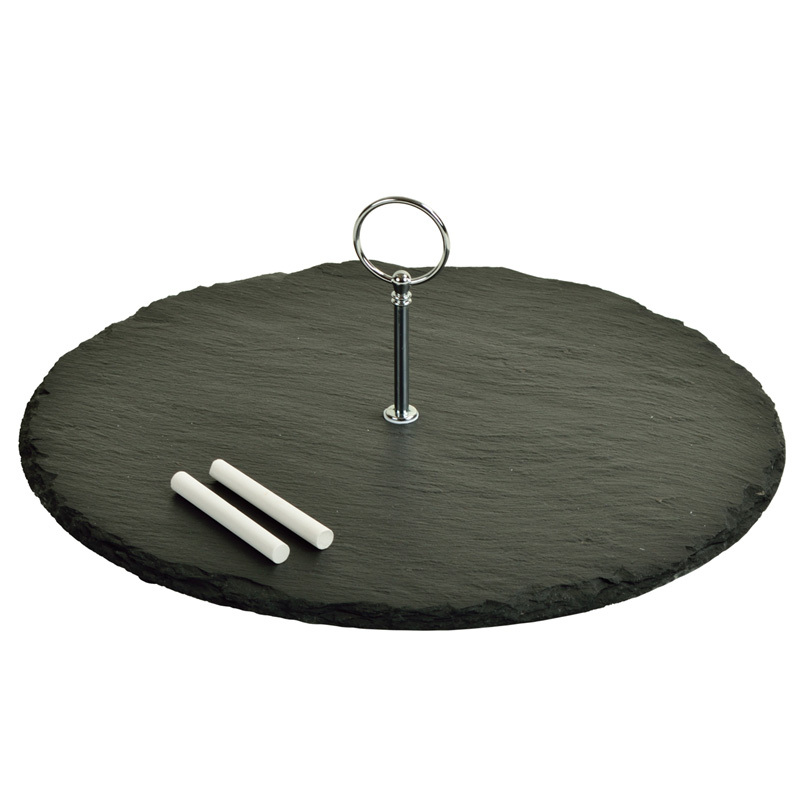 Includes two soapstone pencils for writing on the board to identify cheese, and care instructions.